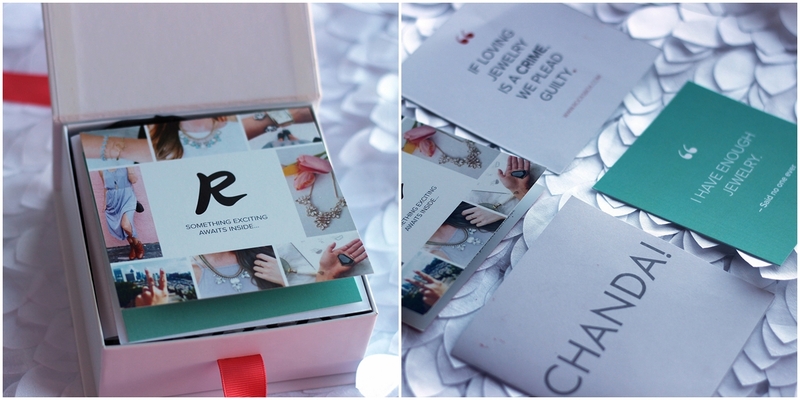 I'm pretty excited about this post today because I just received my first Rocksbox!! What is Rocksbox you ask? Well founder, Meaghan, grew tired of purchasing jewelry and only wearing it once or twice. She wanted that luxury without the hassle, expense and clutter, thus Rocksbox is born! It's a service that gives youaccess to wear unlimited designer jewelry, with the option to buy the pieces you love! Not happy with one them, send it back! 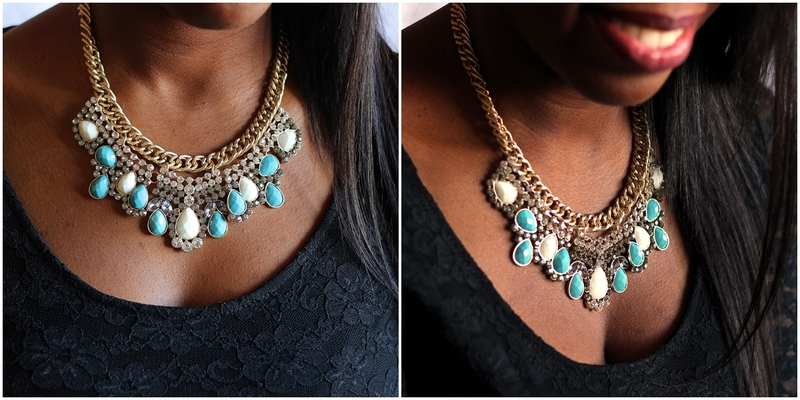 The way to become a Shine Insider is to take the style survey and add items to your jewelry wishlist. Next, you'll get 3 pieces to wear on loan! Each piece is hand selected for your style and specific requests. Wear your pieces as much as you want!! Return anytime to get 3 new pieces and as often as you like! Every set has 3 pieces of designer jewelry worth over $200! I particularly love the stationary that's enclosed in the box (especially the namesake card). 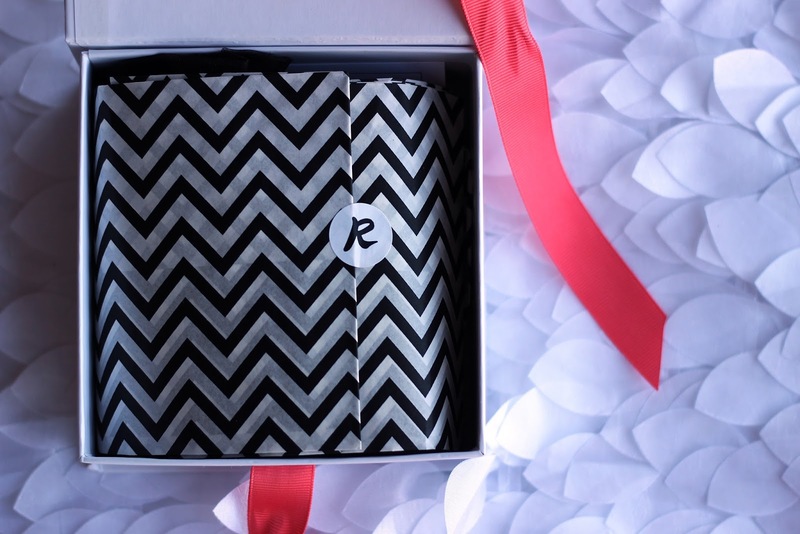 Each little card outlines something about Rocksbox whether it's your Shine Insider benefits or an introduction from the founder, Meaghan Rose. Your Shine Insider Benefits include $19/mo for unlimited jewelry rental. Borrow 3 pieces at a time and swap your set anytime you want. Each month you get $10 in Shine Spend! If you fall in love with something, you'll have $10 is Shine Spend to apply towards your purchase. And there's free shipping both ways!! What more could you ask for? 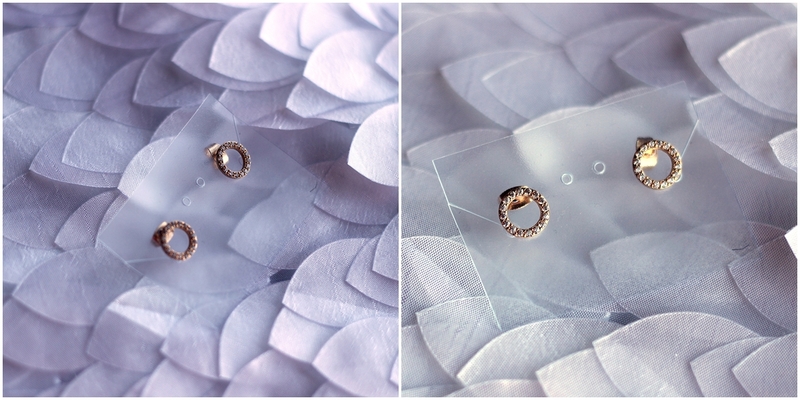 My review: I really want to like these dainty little beauties, but they are just TOO small in my opinion. If they were bigger, I think they would be perfect. I just have a feeling that I would probably lose one of both of these on the first wear and they are just too pretty for that! My feeling would be crushed. 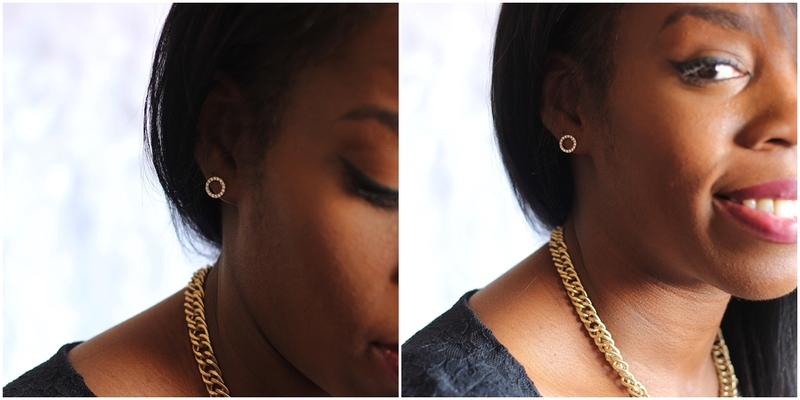 If you love smaller, more delicate jewels, then this is right up your alley! 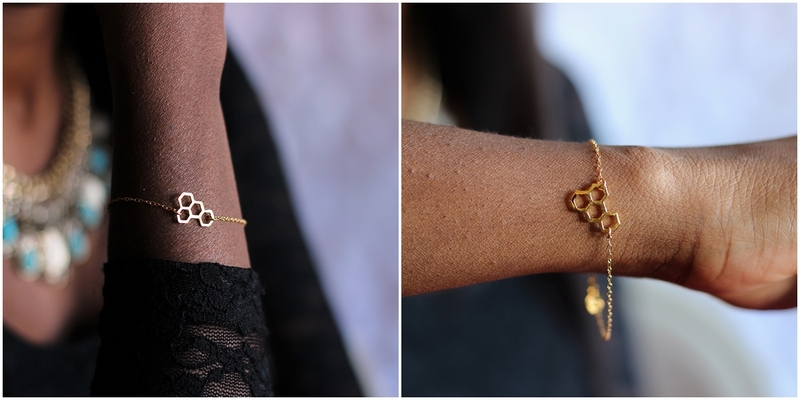 My review: This bracelet is really delicate, nonetheless, I still love it! 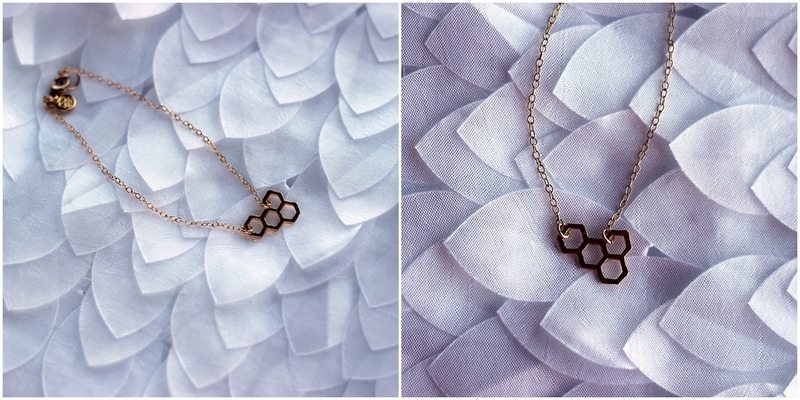 I'm sure that many of you know that I love it because it's a honeycomb and a honeycomb is symbol of the #BeyHive and BeyHive is for Beyonce and Beyonce is one of my all time favorites EVER!! Did I just go all fan girl there? I certainly apologize, but who doesn't love Beyonce?! That's why I love this so much! 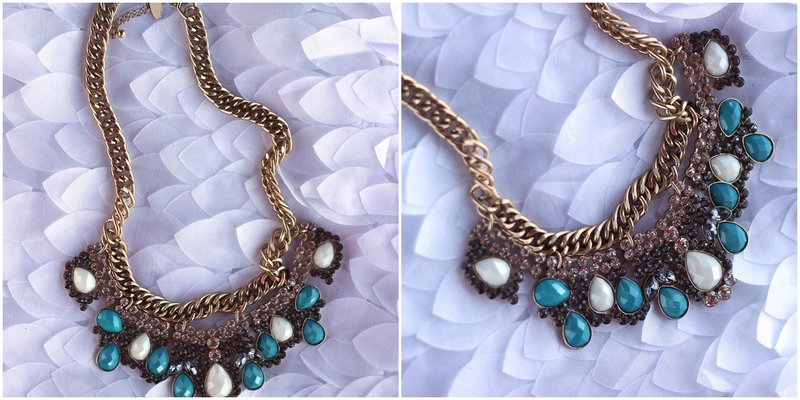 My review: I am in LOVE with this necklace! It's doing exactly what it is supposed to, making a statement! I can't wait to style this and see what it's potential is. It's not a lightweight piece but it's not too heavy either. This one is my favorite piece out of the bunch! Well, there you have it! So far, so good with my first Rocksbox set! I only wish that you could pick specific items from your wishlist. You may be able to and I just haven't figured out how to yet, but I'll keep you updated! We'll see what the next box has in store, so keep a lookout around this time next month. 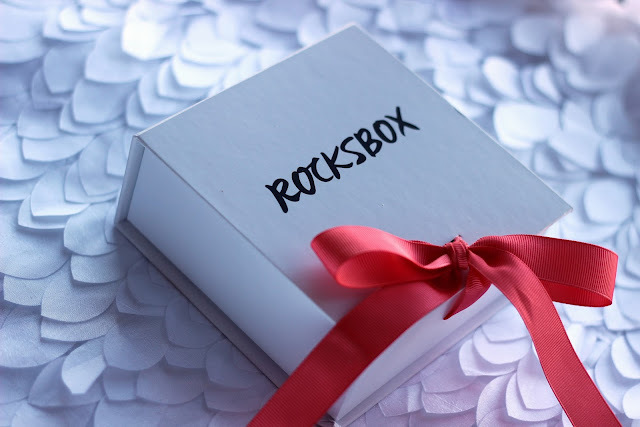 In the meantime, if you are a tad but interested, I would suggest checking out Rocksbox! You can get your first box FREE by signing up HERE and using code CHANDABFF7 at checkout! !